What Did The First Major Announcements Just Tell Us About Awards Season? Street in New York City, with “Spotlight,” “Tangerine” and “The Diary of a Teenage Girl” winning the top prizes. The next afternoon, the National Board of Review announced their winners with “Mad Max: Fury Road,” “The Martian” and “Room” leading the pack. 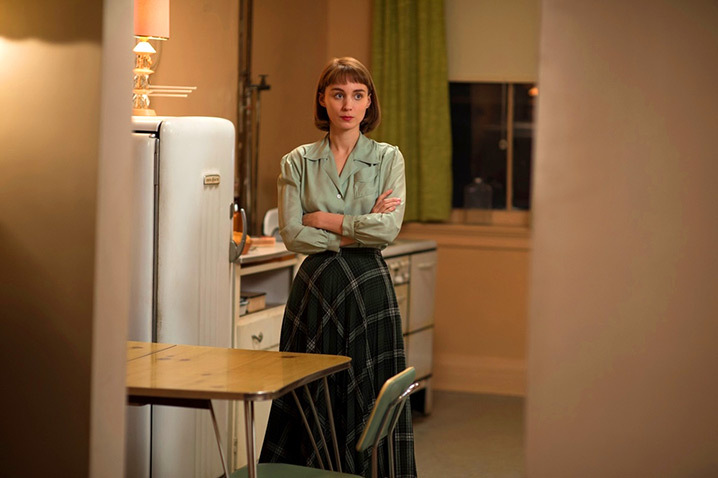 And then Wednesday, “Carol” swept the New York Film Critics Circle’s awards, with “Spotlight,” “Brooklyn” and “Bridge of Spies” also factoring in. What do these winners collectively suggest for Oscar? Here’s a rundown. Last year, the Gothams provided unprecedented Oscar premonition. “Birdman” and “Citizenfour” kicked off their roads to best picture and best documentary Oscars at the Gothams, while Julianne Moore won her first of countless trophies (including an Oscar) for “Still Alice.” While Gotham best actor winner Michael Keaton didn’t end up winning an Oscar, he certainly came close. So will this year be more of the former or the latter? The reason it’s so hard to tell is that unlike most other awards, the Gotham winners are picked by small committees of industry folks (John Waters and Shonda Rhimes were among the handful of folks who helped choose last night’s winners). They also select those winners well before consensus forms in awards season, so there’s not the same bias that seems to meet a lot of other winners circles. Still, Tom McCarthy’s “Spotlight” winning both best feature and best screenplay at last night’s ceremony could very be indicative of both what a small committee preferred and what thousand member voting bodies will prefer come bigger ceremonies. That film already had the momentum of a frontrunner going into the Gotham Awards, and it’s now been furthered. “Spotlight” is thus probably more of a “Birdman” than a “Llewyn Davis,” but it’s important to remember that few people thought “Birdman” was actually going to win the best picture Oscar at this point last year and most expected “Llewyn Davis” to end up as a much more sizable Oscar threat at this point two years ago. Oscar hopefuls that came home empty-handed last night — like “Carol” and “Room,” for example — should not assume this means anything for their Oscar chances. If “Spotlight” hadn’t won last night, that really wouldn’t have damaged its overall frontrunner status. What will be more interesting is to see if the Gothams can use their growing clout to put a few of the less Oscar-friendly winners on the map. Sean Baker’s “Tangerine” won the audience award and the breakthrough actor award for Mya Taylor, while Marielle Heller’s “The Diary of a Teenage Girl” provided the night’s biggest upset when its relatively unknown lead Bel Powley beat the collective likes of Cate Blanchett, Blythe Danner, Brie Larson, Lily Tomlin and Kristen Wiig. Neither film is expected to be in the ultimate Oscar conversation — but they sure both have higher profiles now. and Edward Norton — all did. However, “A Most Violent Year” was definitely an exception to a rule. In the past 25 years, it represents one of only three winners of the NBR’s top prize to not go on to a best picture Oscar nomination (the others are “Gods and Monsters” and “Quills”). That bodes well for this year’s rather surprising winner, George Miller’s “Mad Max: Fury Road.” Or does it? 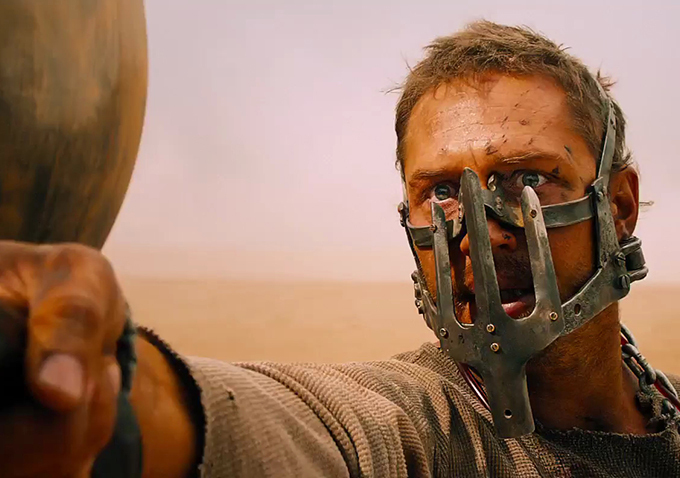 “Mad Max” would mark a bold entry into the history of Oscar best picture winners. While it was met with critical acclaim and healthy box office (both important variables), apocalyptic franchise films released in the summer are generally not Oscar’s cup of tea. But the NBR just gave the film a major helping hand in going against that grain. The other winners at the NBR seem much more certain when it comes to Oscar. Directing winner Ridley Scott (“The Martian”) and acting winners Matt Damon (“The Martian”), Brie Larson (“Room”), Jennifer Jason Leigh (“The Hateful Eight”) and Sylvester Stallone (“Creed”) all sit near the top of our current Oscar predictions in their respective categories. Here’s the thing, though: Not since 1995 have the directing winner and all four acting winners at the NBR all gone on to Oscar nominations. supporting actress (to eventual Oscar winner Patricia Arquette). The film went on to more-or-less sweep the critics’ prizes, something that could very well end up being the case for Todd Haynes’ “Carol,” which won best film, best director, best screenplay and best cinematography with the NYFCC. Haynes notably joined Martin Scorsese and Kathryn Bigelow in a very exclusive list of directors whose films have won best picture and best director in the same year twice at the NYFCC. Ten years ago, Haynes won both those prizes for “Far From Heaven.” Except unlike both times for Marty and Kathryn, Haynes didn’t go on to receive a best picture or best director nomination at the Oscars. There will certainly be pressure to make the outcome different this time, given that Haynes’ films have never received a lot of Oscar attention (“Far From Heaven” and “I’m Not There” collectively got a handful of nominations, but not for best picture). If a few more major critics prizes (and the Golden Globes, for that matter) follow suit, “Carol” might be difficult for Academy voters to ignore. The NYFCC spread out its acting prizes among a few expected and not-so-expected recipients: Saorise Ronan and Mark Rylance further cemented their Oscar nominations with support for their work in “Brooklyn” and “Bridge of Spies,” while Michael Keaton did the same for “Spotlight” — just not the category most expected. The New York critics decided to give Keaton their best actor prize, even though he’s being submitted in supporting (as is everyone in the “Spotlight” ensemble). This is a running narrative so far this season, with category confusion also meeting Cate Blanchett and Rooney Mara for “Carol” and Alicia Vikander for “The Danish Girl.” But Keaton is unlikely to end up getting notices for lead actor at many other ceremonies, with this win probably doing more good than bad in propelling his chances to win the best supporting actor Oscar. Finally, there’s Kristen Stewart. Almost a year after she became the first American actress to win a Cesar Award for “Clouds of Sils Maria,” the NYFCC gave her their best supporting actress prize (the film came out in the U.S. this year). Stewart remains a bit of a long shot to receive her first Oscar nomination for the film, but if the aforementioned Blanchett, Mara and Vikander all end up being considered for lead actress instead of supporting, the latter category is going to open up in a big way. Will Stewart wind up a beneficiary of that? The NYFCC certainly just aided that suggestion. For full updated charts of all our Oscar predictions in all the feature film categories go here, and check out more predictions from Anne Thompson. Peter Knegt is Indiewire’s Contributing Editor and awards columnist. Follow him on Twitter.